While a luscious pair of velvet high heels may not guarantee that you make it through all of the holiday festivities, family get-togethers and last-minute shopping extravaganzas unscathed, they certainly will help you feel better. Who can be stressed with these gorgeous numbers on her feet? 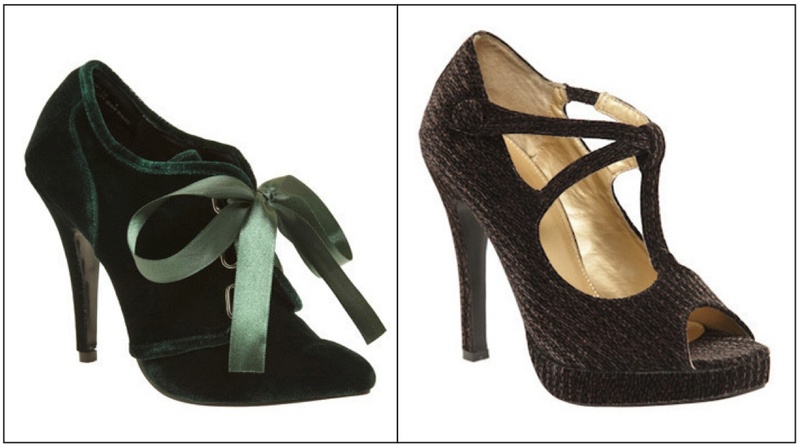 Check out the four delicious velvet-clad heels below—all for less than $50. They’ll make your holiday season a little brighter. Promise. These sassy emerald heels play on the Victorian look with their pointy toes and pale green satin ribbons. Wear these dreamy shoes with a structured blazer and trousers to a holiday party. These heels cost $50 from ModCloth.com. The T-straps of these textured black heels lengthen legs to infinite heights. Show off these shoes’ crisscross details and peep toes by pairing them with a flirty dress. These shoes cost $40 from ModCloth.com. 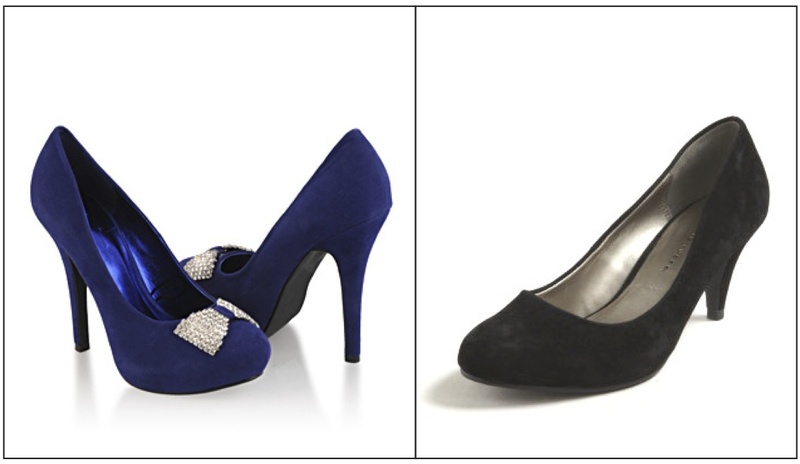 Bring in the New Year with these royal blue velvety heels on your feet. These statement shoes are the perfect compliment to a party dress. These heels cost $26 from Forever 21. Jet around town in these black kitten heel pumps paired with jeans and a casual top. The soft black exterior of these shoes will add a dose of feminine to any outfit. These heels cost $23 from Charlotte Russe. What do you think about velvet heels? Would you wear them? Let me know your thoughts in the comments section. Ankle boots, cowboy boots, over-the-knee boots—oh-my! Plus they’re all under $50! These vintage menswear-inspired tuxedo pumps were found at a local Salvation Army. Guess how much they cost? I completely agree with you Bonnie! Will have to hit DSW when you get here this week! Get everyday threads Sent To Your E-mail! Follow everyday threads On Bloglovin! · Tips, trends and experiments in fashion.